At the end of the Royal Mile in Edinburgh stands the noble Holyrood Palace. 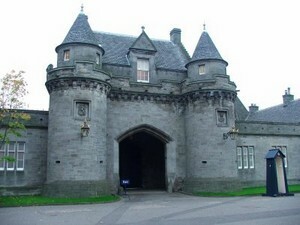 It was founded as a monastery in 1128 and is the current Queen's offical Residence in Scotland. 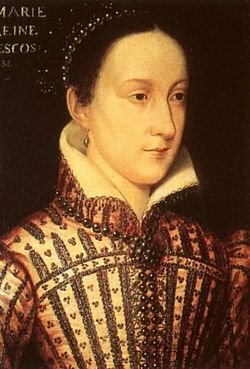 Mary, Queen of Scots was born at Linlithgow in December, 1542. 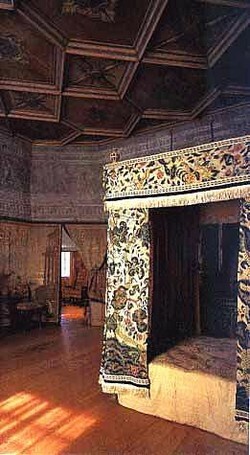 She lived in Holyrood Palace between 1561 and 1567. 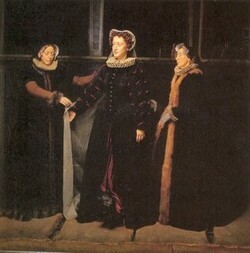 She married two of her husbands in the Abbey. Her private secretary, an Italian musician named Rizzio, was murdered here in her personal rooms by a group led by her husband Lord Darnley. He believed she was having an affair with him. Many books have been written about Mary's sad life. (I enjoyed Lady Antonia Fraser's version). 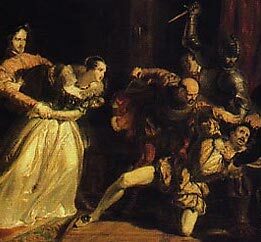 Mary Queen of Scots clashed with the Queen of England, Elizabeth, her cousin, who was afraid Mary may have had a claim to her throne. Mary was accused of plotting against Elizabeth, who eventually agreed to Mary's execution after having her held in captivity for many years. 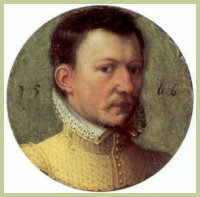 She was finally executed at Fotheringay on February 8th, 1587.